While Ultrabooks of today has largely been the answer for most of our all-day off-the-plug computing needs, there is no option for those in areas where access to electricity is scarce or even a ruggedized variant. 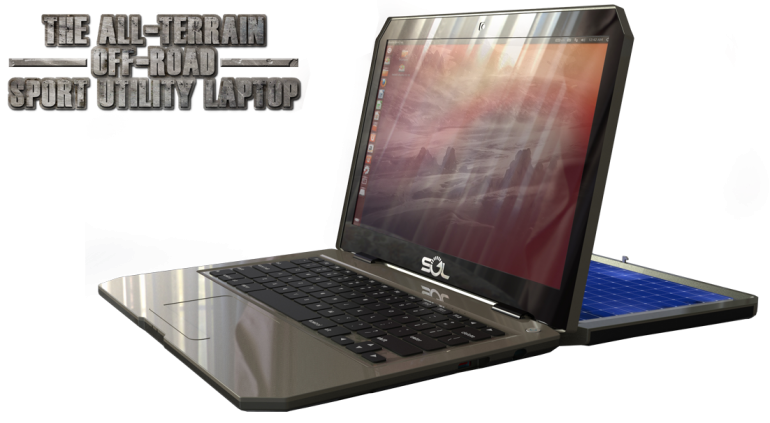 The Sol laptop aims to provide just that, with its promise of full solar power capabilities. 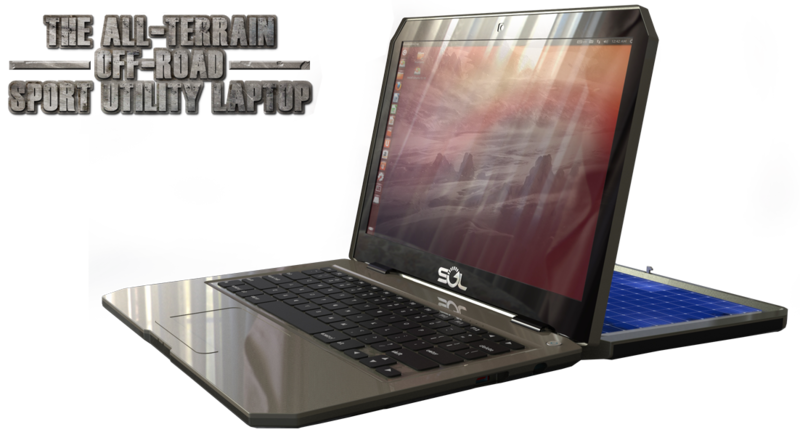 Dubbed as the “world’s first fully solar-powered laptop”, the Sol laptop is made by Canadian R&D manufacturers WeWi Telecommunications. Featuring foldable solar panels at the back of the display, the Sol laptop sports a 10-hour battery that can be charged in 2 hours solely on solar power. Inside, the laptop runs on an Intel Atom dual-core chip with 2GB of RAM, a 320GB hard drive, Intel GMA graphics, and an array of connectivity ports such as USB 2.0, HDMI, SD card reader and Ethernet jack. On the outside, there’s a 13.3-inch 1366 x 768 display and a 3MP webcam encased in a ruggedized chassis. The solar panel itself it detachable too, so users can work indoors while placing the panel outside to charge the device via an extension cord. From the specs, it is obvious that the Sol laptop isn’t for the masses. Instead, it is designed for the military (there’s even a submersible variant) as well as students in developing countries with little to no electricity access. At an estimated price of $350 ($400 for the submersible option), the Sol laptop may still be out of reach of its target audience, but WeWi is doing as much as it can to drive costs down, such as bundling the Sol laptop with the free Ubuntu 12.10 OS. The Sol laptop will be available soon in six colour options, but there is no concrete word as to when is its official launch date. For more info, head on to the Sol website here.